"Well, here we are after over one year of living in Malta. How has the first year been, you ask? Interesting, I say." Talmaone looks back on a year of blackened ceilings, pigs on fork-lifts and ocean-swimming horses, and reckons it's been twelve months well spent. 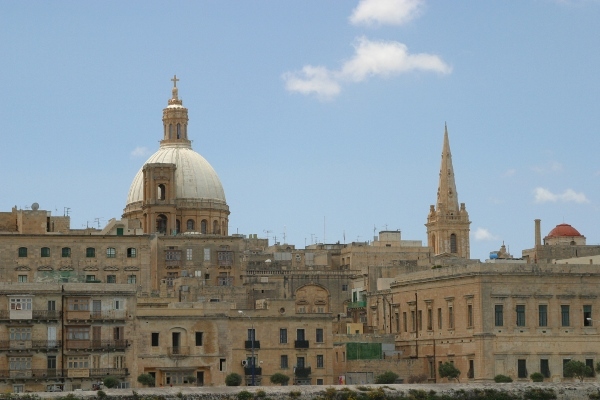 "We needed to be in Pozzallo to book our ferry tickets to Valletta by 09:00 Monday morning. We also had to find a vet in Pozzallo to get the dogs' tick and worming treatments done and certify them to allow them into Malta. The treatments have to be given not less than 24 hours and not more than 48 hours before entry. So we had a bit of a timescale here as the ferry in Pozzallo only runs on Mondays, Wednesdays and Fridays." Carol, Barry and the dogs approach journey's end.